There is one post tagged 3g. Sometimes I do stupid stuff like editing my firewall rules at home from a remote location and get myself locked out. Sometimes my internet connection is just broken for one reason or the other, this is when you need a out of band channel to your network. You can buy pretty expensive integrated hardware for this with 3G connection and serial consoles and so on, but since this is a project for my home network i decided to build something using a raspberry pi. 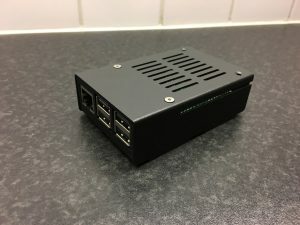 To get this project going I wanted to have a raspberry pi, some sort of wireless connectivity and a serial console to my router. So I got a Raspberry Pi 2B, this pretty neat case, a old Huawei E1752 from ebay and finally a Linocell Powerbank as a battery backup. For the actual mobile data I got a pre paid SIM card from Telia and got a few GB of data. 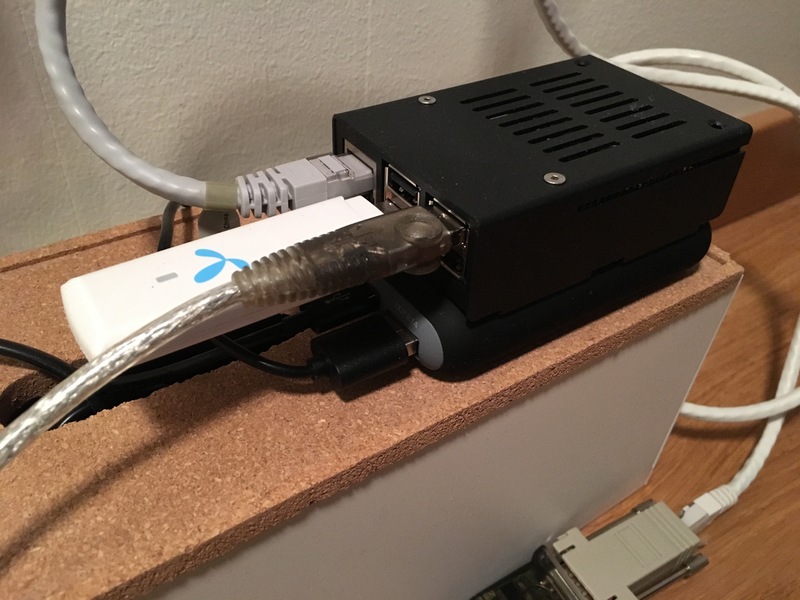 This setup is very basic and I just put the Pi inside the case and installed FreeBSD using the official image from freebsd.org. I draw power from the powerbank to the pi, and the powerbank is permanently hooked up to power, this way it will run for maybe an hour or so in the event of a power failure. The reason i got the pretty old E1752 was because it was dirt cheap and also I was absolutley positive it was supported by the u3g driver in FreeBSD. My router is located in a small patch cupboard and there was little room for another machine there, so I had to put my OOBM-server somewhere else in my apartment. 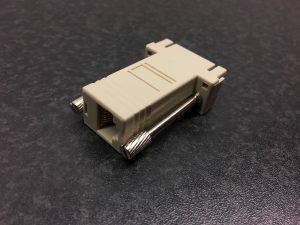 Luckily I have RJ45 jacks everywhere that are patched to that cupboard so I could very easily run the serial console over the existing CAT6 cables. On the router side I just use a reglar serial cable with DB9 female on one side and a RJ45 male on the other side. On the OOBM-server side I have a simple USB-serial converter followed by a DB9 female to RJ45 female converter. The USB-serial converter shows up in FreeBSD as a regular serial interface like /dev/cuaU0. Lets put everything together. The first thing i needed to figure out was how to enable the 3g connection remote, but this was pretty simple because the modem can receive sms messages. So I just send some magic/secret sms to the modem that tells it to connect. Next problem I encountered was that Telia blocks all (?) incoming ports on the mobile connection and since I want to do ssh based administration this was a problem. 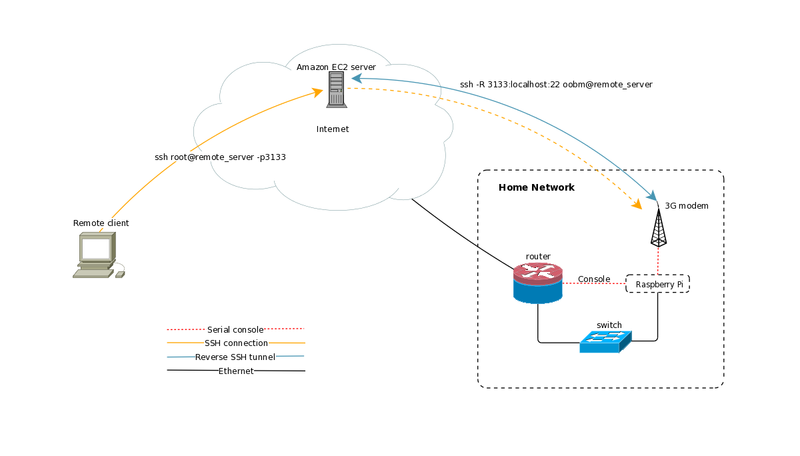 To work around this problem I went for a solution where the OOBM-server first sets up the PPP connection and then sets up a ssh connection with remote port forwarding to one of my amazon instances. Then I just ssh to the amazon instance on some port and end up on “localhost” on the OOBM-server. On the amazon instance I have created a specific account only used for this purpose that accepts the ssh key used by the OOBM-server. print "modem is not responsive"
if msg.number == "NYNUMBER" && msg.text == "SECRET"
#Try a maximum of three times to set up the connection. The reason i use push messages when the link is up and sms when the link is down is because this modem doesnt have multiplexing and it cant send sms messages while connected. 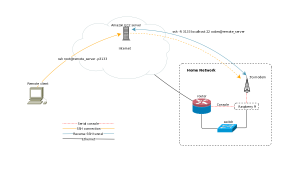 When the connection is up and running its a simple task to just ssh to remote_server at port 31337 and then login to the OOBM server. From there you can do further ssh connection from the inside of your network or just use the serial console to talk to the router.